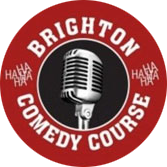 I have just completed The Beginners Comedy Course with Louise and had an absolutely amazing time! A lovely, warm and friendly group of people and a fabulous teacher who will help with editing techniques, confidence and how to nail your performance so you can get the best out of your material. The Graduation gig last night was an absolute blast and I have just signed up to the Advanced Comedy Course and cannot wait!